Product #1120 | SKU 2-040-0001 | 0.0 (no ratings yet) Thanks for your rating! 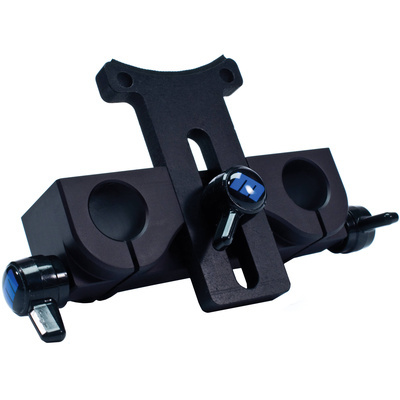 The microLens Support from Redrock Micro provides support for larger lenses with a vertical riser adjustment that enables fitting to each lens. Examples of lenses that can benefit from the lens support are Nikon 80-200 f2.8 zoom, 300 mm f2.8, 70-200 f2.8 zoom, and other larger, longer focal length fixed or zoom lenses.